BUY NOW and SAVE $600! 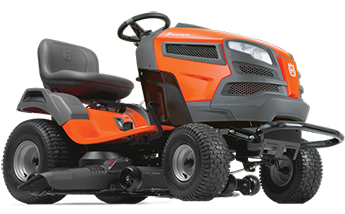 The TS242 ride on lawn mower is ideal for homeowners and landowners with larger gardens who need a durable and comfortable garden tractor with high manoeuvrability. It is a powerful tractor with side ejection for demanding lawn care. Because the cutting deck ejects clippings, you get maximum capacity even on areas that are cut less frequently. The locking differential transmission gives superior traction in slippery conditions and slopes. Driven by a powerful Kawasaki V-Twin engine. Pedal-operated hydrostatic transmission and cast front axle means easy, trouble-free operation. Collector and BioClip® kit are available as accessories.